Kruthika graduated with a B.A. (Hons.) LL.B from School of Law, Christ University in 2017. 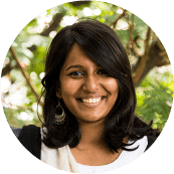 Kruthika’s research interests include constitutional law, women and law, human rights and child rights. This article explores the constituent assembly members’ views on fraternity. On Republic Day 2019, the Centre for Law and Policy Research in association with The Students’ Outpost organised a film screening and discussion around “The Advocate” (Part 1), directed by Deepa Dhanraj. CLPR requires maintenance and development services for CADIndia and SCObserver websites as part of the Constitutional and Civic Citizenship Project.